Here I am providing one example that shows how we customize our Popup Screen. We can use this like a popup Screen or Dialog Screen. 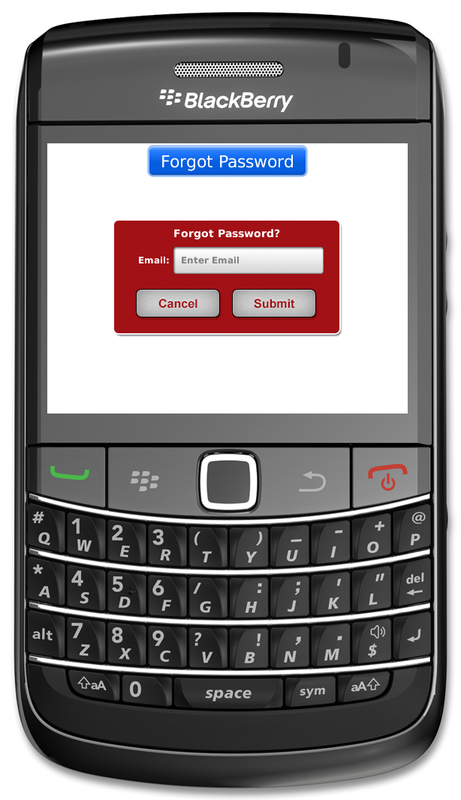 Below link is the Example for the Custom Popup Screen and I am showing an example of Forgot Password. In this you will get again two custom classes. Like, PictureBackgroundButtonField and CustomTextField where we can use images directly to the buttons and text fields. We can post the data by the JSON format. 2. Convert it into JSON object. this.hashTable=hash;//Here I am taking one Hashtable. You can manage according to your requirement. For video recording first we have to check the memory available in Blackberry. According to that we have to go to the next step. We can easily create Routes between two places. We can scan Any type of barcode using blackberry. You can download the code from here. First see the BarcodeScanner in blackberry 6.0 sample codes. Find the below GITHUB link to download the INSTAGRAM sample DEMO.